Want to add audio to your story? These tools will help you create, add and transcribe audio. 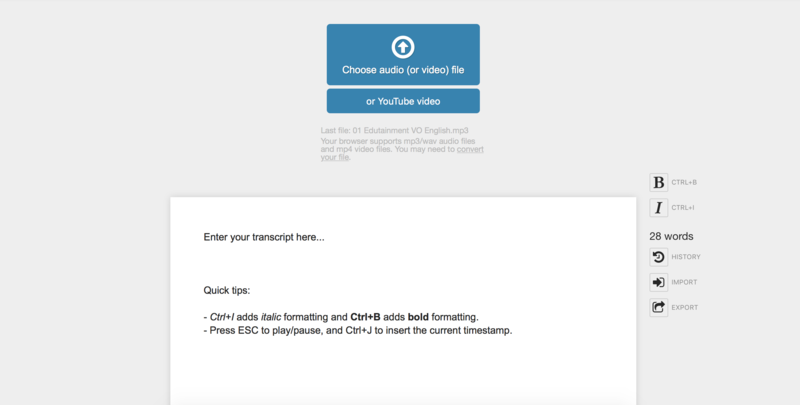 An online tool to make transcribing your audio and video less of a hassle. Splitscreen your audio and type-field. No more switching screens.